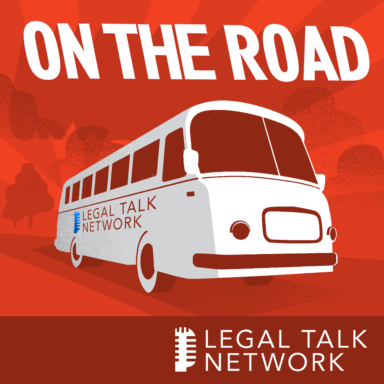 In this podcast, Voisin interviews Peter McGrath about issues in environmental law, Penni Bradshaw about immigration law for paralegals, and Jeff Bennion and Karin Scheehle about why it is important for legal professionals to stay on the edge of legal technology. Together they discuss topics including the case of Burlington Northern v. United States, ethical responsibilities of immigration law, data security, and how paralegals can improve their skills in any of these fields of law. Tune in for tips from the experts. Peter McGrath is a lawyer at Moore & Van Allen in Charlotte, North Carolina, where he practices environmental law. He lead the Environmental Law Institute at the NALA convention. Penni Bradshaw is an attorney with Constangy Brooks Smith & Profitt in Winston-Salem, North Carolina. She specializes in labor and employment law and immigration. At the conference, she led the Immigration Institute. Karin M. Scheehle, ACP, is a paralegal at Gallagher & Kennedy law firm in Phoenix, Arizona, where she works in litigation. She specializes in legal technology as it relates to litigation. She teaches ethics and other classes at the Phoenix College ABA Approved Paralegal Program. Jeff Bennion is an attorney out of San Diego, California, where he practices primarily in personal injury law, mass torts, and products liability. He teaches an ABA program at UCSD and the paralegal program. Jeff and Karin lead the Legal Technology Institute at the convention.